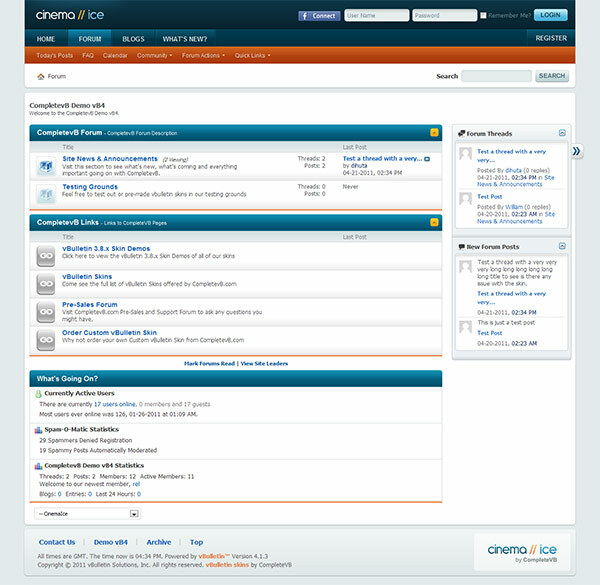 The Cinema Ice, Pink and Tang professional styles for vBulletin 4 use a light color schemes with blue, pink and orange colors and stylish and clean design in order to make it a seamless experience for your online community members. This vBulletin forum template comes with the option to use a fixed and fluid width design to better suit your specific needs and a step by step installation guide to help you get things up and running in no time. The header and footer graphics are provided in PSD file format, so you can quickly modify it by adding your own logo for example and play with other graphical elements. 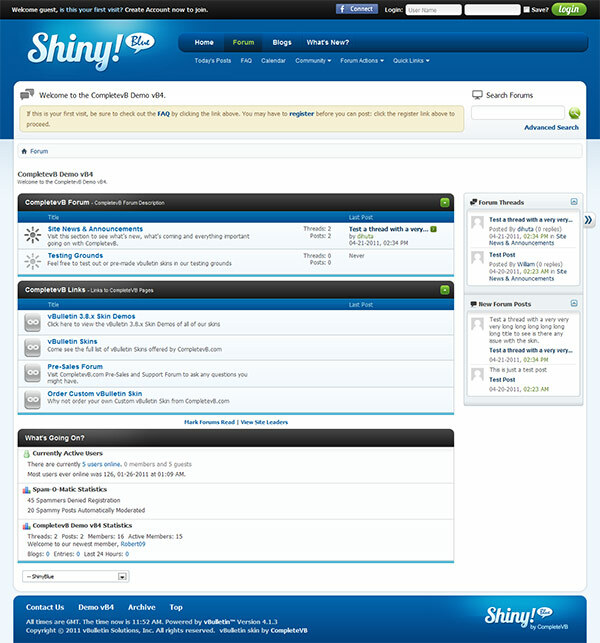 So if you don’t want to be like the rest of the crowd has only the standard vBulletin forum style, then you can get this alternative skin for your online community and make your forum look different from the rest. The Cinema Ice, Cinema Pink and Cinema Tang premium styles comes with 1 year support & updates and support for vBulletin versions 4.1.2 and 4.1.3. The Blue Demon professional style for vBulletin 4 uses a light color scheme with blue and white colors and nice and clean design in order to make it a seamless experience for your online community members. This vBulletin forum template comes with the option to use a fixed and fluid width design to better suit your specific needs and a step by step installation guide to help you get things up and running in no time. The header and footer graphics are provided in PSD file format, so you can quickly modify it by adding your own logo for example and play with other graphical elements. So if you don’t want to be like the rest of the crowd has only the standard vBulletin forum style, then you can get this alternative skin for your online community and make your forum look different from the rest. 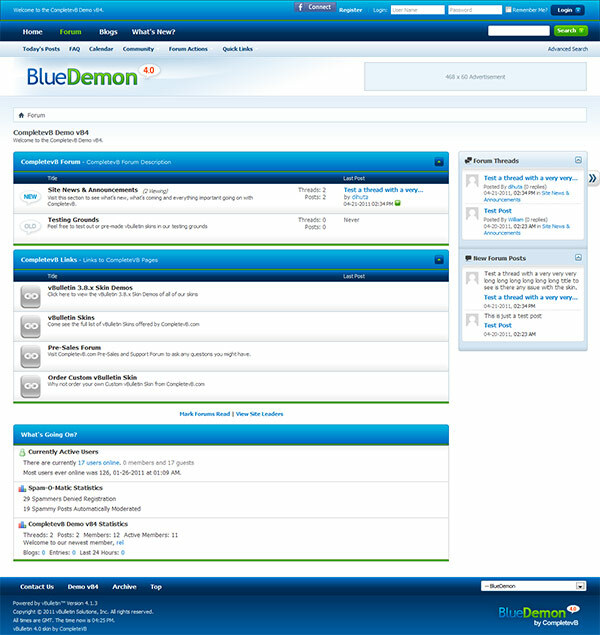 The Blue Demon premium style comes with 1 year support & updates and support for vBulletin versions 3.8.x, 4.0.3 – 4.1.3.